You are currently browsing the daily archive for 11/09/2018. 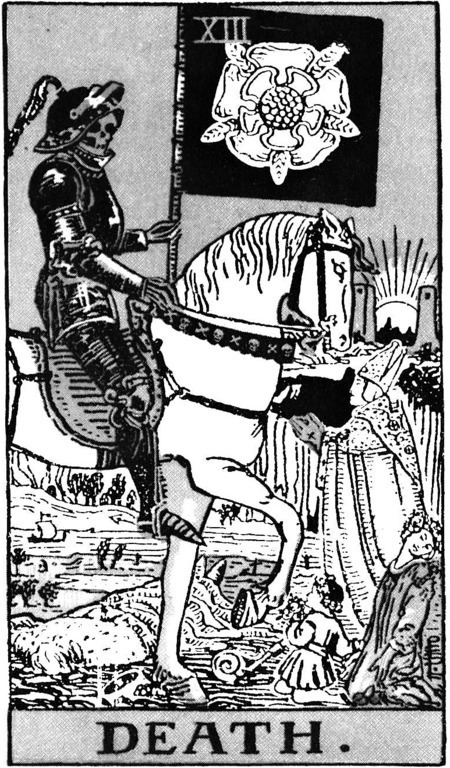 The Tarot Tuesday card this week is card XIII of the Major Arcana, Death. Our associated site this week is one that lay hidden for thousands of years, returned to the public eye and was controversially ‘saved’ from eventual destruction and now resides in a museum. 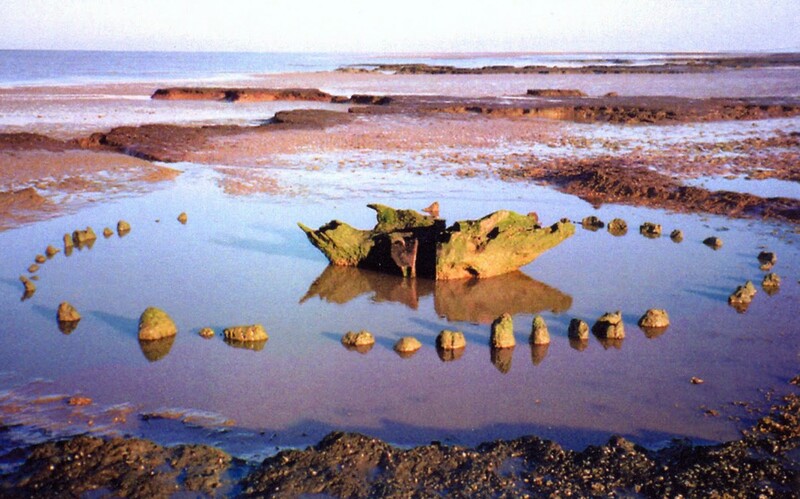 Seahenge (Holme I) has connotations of death, both in its structure and suggested use as a mortuary enclosure for excarnation before it was eventually lost to the encroaching sea. For more than 4000 years the waves did their work in producing a dramatic change in the structure of the site before it emerged once again to start a new ‘life’ as a museum exhibit. The monument contained an uprooted and inverted oak tree stump (possibly used for excarnation) surrounded by close fitting planed posts forming an enclosure. a forked trunk provided a narrow opening to the interior. Theories about the site have focused on the idea of inversion, as represented by the upside-down central tree stump and a single post turned 180 degrees from the others within the circle itself. 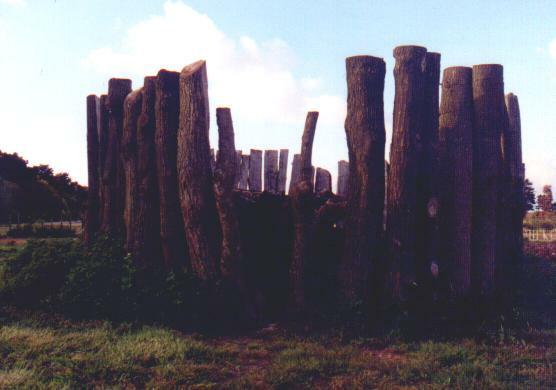 The recovered timbers were transported fifty miles away to the Fenland Archaeology Trust’s field centre at Flag Fen in Cambridgeshire, where it immediately underwent conservation by being immersed in fresh water. After cleaning and scanning the timbers then underwent a process of conservation, being continually soaked in wax-emulsified water to slowly (over years) replace the moisture in the wood with wax. This process was continued at the Mary Rose Trust in Portsmouth until the work was complete. The timbers were then returned to Kings Lynn museum, close to the original location, where a reconstruction was built in 2008.